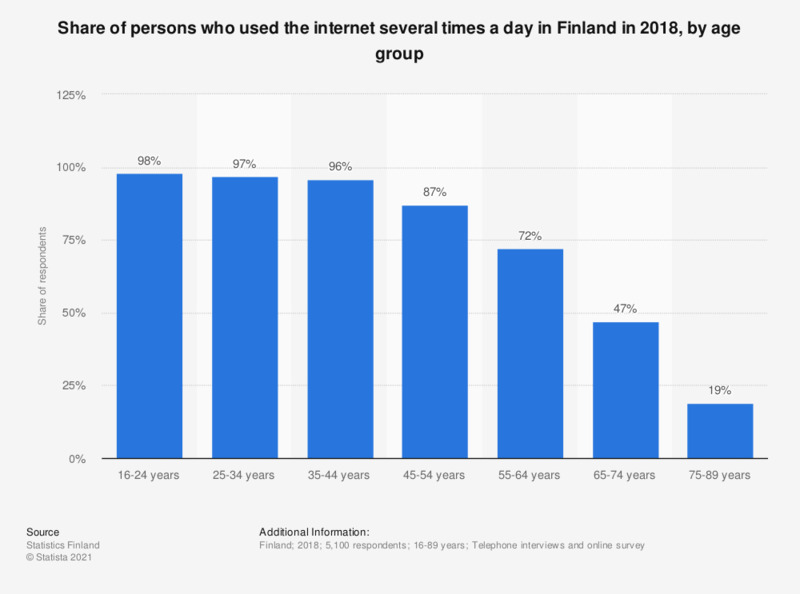 This statistic shows the share of persons who regularly used the internet several times a day in Finland in 2018. 97 percent of the respondents in the age group 25 to 34 years have used the internet several times a day. The corresponding figure for persons aged 55 to 64 years was 72 percent.